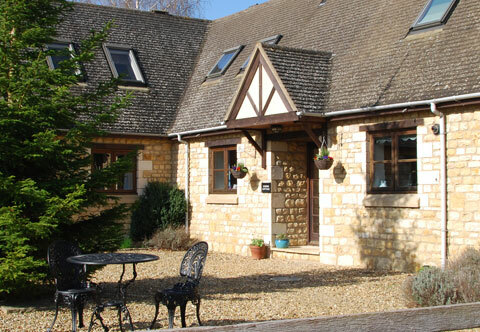 Corner Cottage is a spacious 2 bedroom award winning Cotswold cottage situated in the peaceful grounds of a 16th century manor house in Broadway. Corner Cottage is a spacious 2 bedroom award winning 4* self-catering Cotswold stone cottage situated in the peaceful extensive grounds of a 16th century manor house in the beautiful village of Broadway. The cottage is located in the corner of a courtyard of 3 holiday cottages just a few minutes' walk from the centre of the village, the nearest pub and a wide range of excellent shops, galleries and restaurants. Entrance into hallway. Large fully-equipped kitchen/breakfast room (with table and seating for up to 4 guests), separate utility room with washing machine and freezer, sitting/dining room with digital TV, leather sofa, armchair and extending oak dining table with seating for up to 6 guests. Stairs from the kitchen to the first floor. Dual aspect main bedroom with 'superking' 6ft bed (or 2 full sized single beds if preferred) and room for a cot or 'Z' bed for a child (up to 7 years of age), twin bedded room (with 2 full size singles) and family bathroom with bath, over-bath power shower, wc and basin.